Which is America’s best-selling, three-row, luxury SUV of all time (to-date)? If this wasn’t an Acura article, would you have answered that it’s the third-generation Acura MDX? Hmmm…. Acura reports that the MDX has had record sales during the first half of 2014. Broken down into concrete numbers, that’s a 68.4 percent increase over the first six months of 2013. Adding these 30,664 units sold gives a total of 692,710 MDXs sold during its 15-year history. That’s a SERIOUS number of cars! Why is the Acura MDX SUV so popular? Acura says this is because the MDX SUV sets a “clear benchmark in its class, consistently delivering the best combination of features, function and performance that luxury buyers are after.” Let’s take a look at some of these trend-setting developments. Over time, Acura has continually updated the MDX’s shell according to the latest technology and materials. The 2014 vehicle is a full metamorphosis from previous models. The current MDX has a “more rigid, yet more lightweight body and chassis”. We’re speaking about 275 pounds lighter. This gives substantial improvement to “aerodynamic efficiency and low running resistance”. Design enhancements include “Acura’s next-generation ACE™ body structure and the first-ever use of Acura’s new hot-stamped steel, one-piece door stiffener ring”. 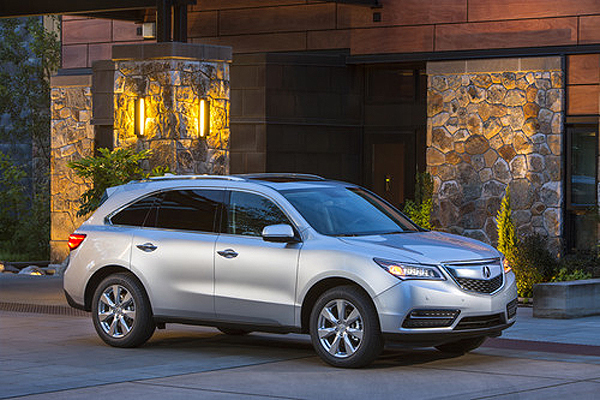 That these advancements make the MDX a safety leader is continually recognized. For example, the third-generation MDX received a “TOP SAFETY PICK+ rating from the IIHS, a feat only one other luxury SUV has matched”. Then, there are a whole collection of things that make the 2014 Acura MDX SUV nice to own and drive. One is its “class-leading EPA fuel-economy ratings of 20/28/23 mpg city/highway”, making driving a little easier on your pocket. Another is the ease with which passengers can enter and exit third-row seats. This is thanks to the “kid-friendly One-Touch Walk-In feature”. Third, connectivity is more easily accomplished thanks to the “next-generation AcuraLink™ system”. With its red, white, and blue manufacturing roots (Lincoln, Alabama) and a significant number of its parts sourced domestically, this third-generation, three-row, luxury MDX SUV should continue its popularity for generations to come. Schedule a test drive today of the 2014 Acura MDX; we’d love for you to check out this model for yourself! 1. The RDX has a lower base MSRP and destination charge than either the Lexus or the BMW. 2. The RDX has better city, highway, and combined mpg than the Lexus. 3. The RDX has a better powertrain warranty (months and miles) than the BMW. 1. The RDX comes with a standard moonroof which is optional for the other two competitor trims. 2. A rearview camera is standard on the RDX, but again, optional for the other two competitor trims. 3. Another standard feature on the RDX, which is optional for the other two models, is heated front seats. 4. Satellite radio is standard with the RDX, but optional for the BMW. 5. A push-button start ignition is standard on the RDX and only optional on the BMW. 1. The RDX has a 6-cylinder engine, compared to the 4-cyclinder of the BMW. 2. When looking at horsepower and torque, the RDX is better in both of these areas compared to the Lexus and the BMW. 1. The RDX has a higher max and total cargo volume than the BMW and a higher passenger volume than the Lexus. 2. The RDX has better rear headroom than the Lexus, better front legroom than the BMW, and better rear legroom and front shoulder room than both competitors. While exploring the four areas of price, comfort and convenience, power, and space, we’ve given you 13 different ways the 2015 Acura RDX stands out among its highly-respected competitors. While 13 might be a superstitious number for some folks, we think 13 just might be a lucky number for today’s car owners who want a luxurious vehicle they can feel happy about owning! If you’re thinking the Acura RDX might be the right vehicle for you, click on the button below to schedule a test drive. If you have any questions about the RDX, feel free to use the comments area below or reach out to us on Facebook or Twitter. 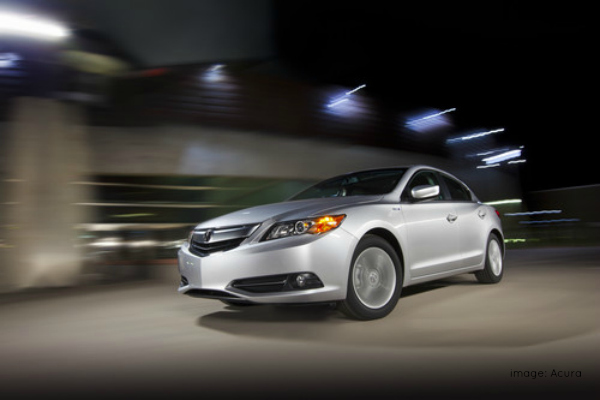 Does the 2014 Acura ILX Offer Competitive Luxury? When you hear the terms, “Mercedes-Benz” and “Audi,” you think luxury, quality, and sophistication. 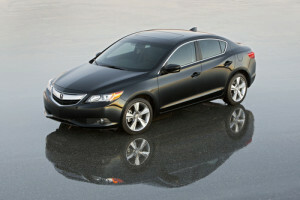 When you hear, “Acura ILX,” do you think of these same characteristics? The Acura ILX has received recognition in the automotive world for being the gateway to the Acura brand. It’s a luxury compact sedan that doesn’t come with a luxury price tag. 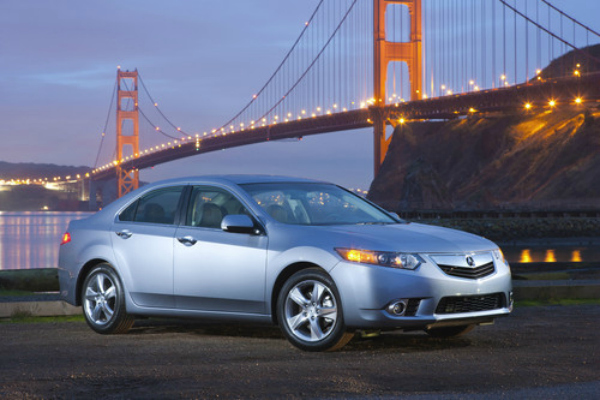 We think the 2014 Acura ILX can hold its own when compared to other luxury models in its class. To demonstrate that point, let’s compare the 2014 Acura ILX 5-Speed Automatic with the 2014 Mercedes-Benz CLA-Class CLA250 and the 2015 Audi A3 1.8T Premium FWD S tronic. That’s a long list of great standard features modern luxury drivers can appreciate! With three models all providing many of the same amenities, how are today’s car buyers supposed to make the right choice in buying the car that suits their preferences? To answer that question, we also have to look at the differences, because the differences among these three models just might be the tipping point for many drivers. If you’re new to the luxury car scene, the 2014 Acura ILX is a great stepping stone. Not only does this particular model ease you into the comforts of owning a luxury sedan, but it won’t break your bank in the process. Base MSRP for the ILX is more affordable compared to the Mercedes-Benz and Audi. If you factor in the destination fee, the Mercedes-Benz is even a little costly! Here’s something worth noting as well: Recently, the 2014 Acura ILX won the 2014 IntelliChoice Best Overall Value of the Year Award in the premium compact passenger car category. This award represents recognition for lower total ownership costs and lower-than-expected costs over time when compared to similar models. So it’s more than reassuring to know the 2014 Acura ILX is a car worth investing in! Here are some other numbers helpful to know: When it comes to fuel economy, the ILX beats out the Audi on city, highway, and combined mpg. Also, all three premium cars have the same basic warranty of 48 months/50,000 miles, but when it comes to the powertrain warranty (covers all the components that work together to power the car), the ILX has a 72-month/70,000 mile warranty! This far surpasses the 48-month/50,000 mile warranties of the Mercedes-Benz and Audi, and we don’t have to tell you how reassuring having this coverage standard would be for you. A multi-view rear camera—a feature that is being touted as a safety must-have in the automotive industry—is standard on the ILX, but optional for the Mercedes-Benz and Audi. Speed-sensing interval wipers are standard on the ILX and Audi, but not available for the Mercedes-Benz. The ILX and Mercedes-Benz each have standard telematics, whereas these features are optional in the Audi. Heated front seats come standard in the ILX—so warmth for everyone up front!—not so for the other two models. A USB port is standard for the ILX and Mercedes-Benz, but optional for the Audi. 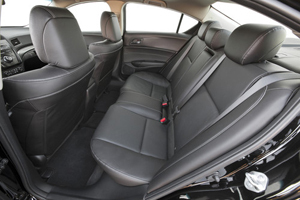 The ILX offers better rear headroom, front legroom, and rear legroom than the Mercedes-Benz, better front shoulder room than the Audi, and better rear shoulder room than both models. Yes, when it comes to picking the luxury vehicle that’s right for you, the littlest details can make a big difference. Of course, one of the biggest details, the price, can have a huge impact on the decision-making process as well. If you’d like a more in-depth understanding of the 2014 Acura ILX, please check out our review, or better yet, consider checking out the ILX first hand–click on the button below to schedule your test drive of the ILX at our dealership. We’d love to talk with you about this model in person. Of course, you can also leave your questions or comments below, or contact us via Facebook or Twitter at your convenience. The 2014 Acura MDX came to Tischer Acura a while back. But ever since making its debut in the automotive industry, the Acura MDX has received numerous accolades such as earning 5-star ratings on all New Car Assessment Program (NCAP) front-crash and side -impact tests conducted by the NHTSA and being voted as AutoGuide’s Utility Vehicle of the Year! While the MDX is a standout vehicle, it’s just one SUV in a sea of competition. So how are car buyers supposed to feel confident that the MDX is the right vehicle for them? After all, it’s not like you can be in two or three places at once and test drive all the competitors’ cars. So we’ve taken the guesswork out of the cross-comparisons for you! Today we’ll compare the 2014 Acura MDX against some stiff competition—the 2014 BMW X5 XDrive 35i and the 2014 Audi Q7 3.0T Premium Quattro Tiptronic. While all three vehicles are stellar in their own right, you will quickly see why we feel the Acura MDX holds many advantages over the BMW X5 or Audi Q7. One of the first things car shoppers are concerned about is price. Keep in mind that the Acura brand is parent company Honda’s luxury vehicle line; so of course, the MDX doesn’t tout an average-car price tag. Still, when compared with the X5 and Q7, it beats the competition for base MSRP. The X5 even has a higher destination charge. Residual value is another number to keep in mind. How much value does each model retain over time? After all, if you’re going to invest in a luxury car, you want to get your money’s worth when you are ready to get another vehicle. After 36 months, the Acura MDX retained 60% of its value – beating both models! 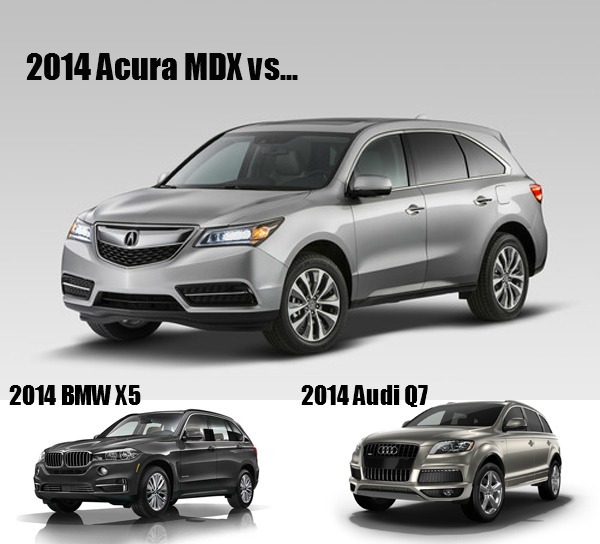 In addition, after 60 months the MDX retained more residual value than the X5. While an SUV has many attractive qualities for modern drivers, fuel economy can be a challenge. Happily, when compared to the X5 and the Q7 the MDX offers better fuel economy for city, highway, and combined mpg. It is important to note that all three models offer the same warranties when it comes to basic time and mileage. However, the Acura MDX offers a better powertrain warranty for both months and mileage. So we’d say when it comes to crunching the numbers, the 2014 Acura MDX has these two competitors beat. Let’s remember we’re comparing luxury SUVs, so it should be expected that these base models will have more-than-satisfactory comfort and convenience features. First, let’s look at a list of features that all of these models offer. While all three models offer automatic climate control, only the Acura MDX also has standard rear-seat heating and air conditioning controls. The Acura MDX and BMW X5 both have the same memory adjustments (2-memory adjustments for the driver’s side include automatic/delayed locking, automatic headlights, exterior mirrors, steering wheel and seat), but the Audi Q7 only offers optional automatic/delayed locking and automatic headlights memory settings. The MDX and X5 both have a standard moonroof, whereas the Q7 moonroof is an option. The 2014 Acura MDX and BMW X5 offer standard keyless ignition; this feature is optional for the Audi Q7. The MDX has more standard steering wheel-mounted controls. RearView camera is standard for the MDX and optional for the X5 and Q7. Even though all three models offer 2nd row split-bench seats, the MDX also has standard 3rd row split-bench seats. This is an optional feature for the X5 and an unavailable feature for the Q7. While all three models have a multi-function remote, the MDX and X5 have additional remote features—control for power windows and the sunroof. As far as storage details go, the Acura MDX includes cargo area tiedown (not available for the X5, standard for the Q7) and front armrest storage (not available for the trims of the other two models). The Acura MDX and Audi Q7 are both 7-seaters, while the BMW X5 seats five passengers. When it comes to cabin size, the MDX has better shoulder room for the front, rear, and 3rd row seating areas and better front legroom. All three models have front power outlets—three for the MDX, four for the X5, and five for the Q7. Which vehicle do you think is the winner for the features assessment? It really depends on what features are most important to you. That being said, the 2014 Acura MDX at a bare minimum (by these lists) seems to be on par with the 2014 BMW X5, but for a better price tag. That’s definitely worth keeping in mind. Every car manufacturer wants to produce vehicles that ensure the safety of their drivers. Otherwise, let’s just say, these car manufacturers are going to be in big trouble. So how safe are the MDX, X5, and Q7? Since we’re talking about bigger vehicles, sight lines are definitely a concern. As we pointed out, the 2014 Acura MDX is the only model of the three that offers a standard rearview monitor. Both the MDX and X5 offer hill start assist—a feature that prevents a car from slipping forward or backward when on an incline. HSA is not available for the Q7. Other safety features that are common denominators for these vehicles are anti-lock brakes, electronic stability control, traction control, brake assistance, the same type and placement of airbags throughout the interiors, and child seat anchors. Additionally, all offer a tire pressure monitoring system and vehicle and radio theft-deterrent systems. At the time of researching these comparisons, the BMW X5 and Audi Q7 had not yet undergone many of the safety crash tests performed by the NHTSA. The 2014 Acura MDX has a slight advantage here as it has undergone rigorous testing already. The MDX has earned 5 stars (top marks!) for front-driver, front-passenger, front-side, and rear-side crash tests. It also earned 4 stars in the rollover crash test. By virtue of default, it would seem the 2014 Acura MDX is the victor in the safety area. Fortunately, the NHTSA test results confirm the 2014 Acura MDX truly is a safe vehicle by industry standards. We’ve given you a lot to think about with the model comparisons we’ve made today. We stand behind the information we’ve shared with you and the research Acura has assembled to help us help you in alleviating the overwhelming experience that car shopping can be. If the details of the 2014 Acura MDX that we’ve shared today resonate with you, we invite you to come down for a test drive and see the MDX in action. Simply click on the button below—we hope to see you at the dealership! The latest Acura TSX returns for the 2014, and final, model year. With the reveal of the 2015 Acura TLX Prototype at the 2014 Detroit Auto Show, the TLX will soon replace the Acura TL and TSX. Nonetheless, car shoppers will find an abundance of desirable options in the 2014 TSX whether you decide to go the standard TSX Sedan route, opt for a little more space with the 2014 TSX Sport Wagon, or want to delight in more design detail as found in the 2014 TSX Special Edition. The 2014 TSX is designed to combine the exterior luxury aesthetic that is typical of the Acura line along with sporty dynamics that make the driver feel in control behind the wheel. The 2014 TSX Sedan model offers two powerful engine choices: a 201-horsepower 2.4-liter inline 4-cylinder engine and a 280-horsepower 3.5-liter V-65. Both engines are paired with a Sequential SportShift 5-speed automatic transmission with steering wheel-mounted paddle shifters.The 2.4-liter 4-cylinder models (Sedan and Sport Wagon) feature standard 17-inch, 5-spoke aluminum wheels, while split 5-spoke, 18-inch aluminum wheels are standard on the TSX Sedan with 3.5-liter V-6 engine. The TSX Sedan comfortably seats 5 passengers, while the added cargo space of the TSX Sport Wagon adds addition flexibility for those drivers who lead an active lifestyle. 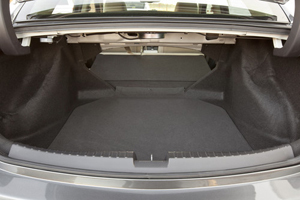 According to Acura, the TSX Sport Wagon offers a generous 66.2 cubic feet of rear cargo area (with rear seats folded down; 31.5 cu. ft. with the seats up), allowing the Sport Wagon to accommodate bulky items such as large boxes, furniture, bicycles, four full-size golf bags or surfboards. With flat sidewalls and a remote-linked, power-operated tailgate, loading and unloading your extra items is easy and convenient! No matter which TSX option you choose, standard safety equipment on all Acura models includes Advanced Compatibility Engineering™ (ACE™) body structure, Vehicle Stability Assist™ (VSA®) with traction control, ABS, dual-stage/multiple-threshold front airbags, front-side airbags, side curtain airbags for all outboard seating positions, front seatbelts with automatic tensioning system and load limiters, Tire Pressure Monitoring System (TPMS), lower anchors and tethers for CHildren (LATCH) child seat mounting system for outboard rear seats, Daytime Running Lights (DRL), and theft-deterrent system with electronic immobilizer. 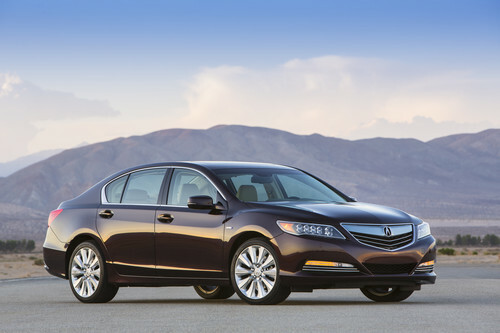 The 2013 TSX was also named a 2013 Top Safety Pick by the IIHS—good news for the 2014 model year as the same safety features have carried over! We think the 2014 Acura TSX model lineup offers value, quality, sportiness, comfort, and safety—things that any driver seeking an entry-level sedan would appreciate. Whether you’re seeking a compact sedan, a little more cargo space, or extra refinement in your vehicle, Acura has a TSX to meet any of those demands. Consider coming by for a test drive the next time you’re in our area; we look forward to fitting you with the Acura that’s perfect for your lifestyle needs. The 2014 North American International Auto Show (NAIAS) is underway right now in Detroit! It’s a stunning and exciting turnout of car manufacturers from all over the globe premiering the latest and greatest vehicles and vehicle technology. Both the Nissan and Acura brands have offerings that are guaranteed to intrigue and excite. So, today we want to share some of the highlights from the NAIAS that put both Nissan and Acura in the spotlight this year in Detroit. 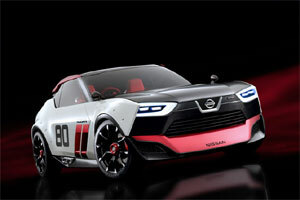 Two concept cars that gained some press prior to NAIAS but made their first public appearance in Detroit are the IDx Freeflow and IDx NISMO models. 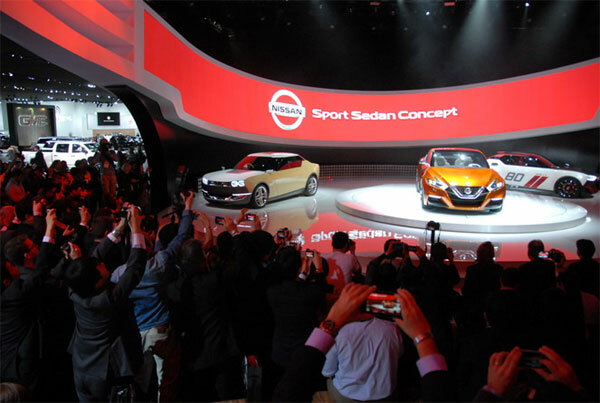 But the real triumph for Nissan at NAIAS is the reveal of the Nissan Sports Sedan Concept. 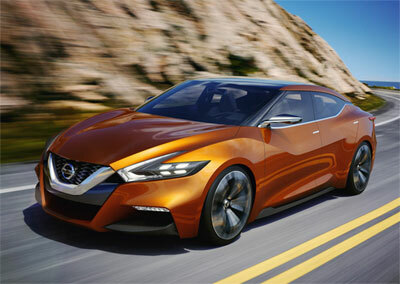 In the case of the Sports Sedan Concept, there are indeed new elements that Nissan has introduced as its next generation design direction. These new design features include exterior bold body lines, V-Motion front aspect, a “floating” roof, boomerang-shaped lamps, and use of premium materials and diamond-shaped graphics on the interior on quilted seats, stitching, and panels. Of course, this is just a taste of what is in store with the Sports Sedan Concept. We’re sure we will only see a more stunning version of this concept when the vehicle does indeed go into production! So take that, Wikipedia. And speaking of that Wikipedia definition, what was the customer reaction? 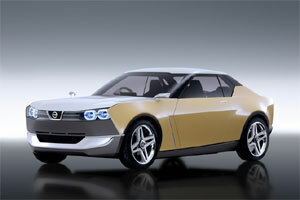 Well, we’ll let Autoweek Magazine’s naming of the Nissan Sports Sedan Concept as the “Best Concept” speak for itself. The big reveal for Acura at this year’s Detroit Auto show was the introduction of the 2015 TLX prototype, which will replace the TL and TSX models. Dubbed as Acura’s “Red Carpet Athlete,” this breakout TLX model will be the start to a new level of luxury and power in the Acura lineup. Signature Acura safety technologies that have garnered top IIHS safety scores for the MDX and RDX over the years will carry over and similar safety results are expected for the TLX. That having been said, Acura fully intends to use the 2015 TLX to elevate industry standards in this segment. According to Acura, the 2015 TLX “will feature more emotional styling with tidier, sports-sedan proportions wrapped around two all-new advanced powertrains that provide even more athletic performance, along with a host of signature Acura technologies. 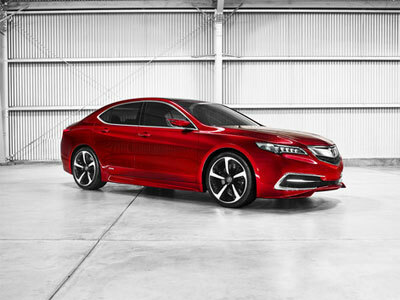 TLX will offer two all-new, high-performance and highly fuel-efficient direct-injected engines, each mated to an all-new advanced transmission, along with two-wheel-drive and all-wheel-drive available configurations.” Seeing as how this model, too, will go into production later this year, we couldn’t be more thrilled! 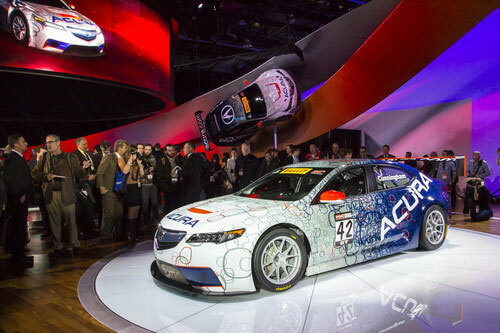 Unveiled on the heels of the 2015 TLX prototype was the TLX GT racecar. Acura Motorsports has decided to move up in the racing world, specifically into the GT racing category. So if they want to do that, they’ve gotta have a GT racecar, right? What better way to compete against other sports-sedan models such as the Audi R8, Chevy Corvette, Dodge Viper, Nissan GT-R, Porsche 911, and Ferrari 458, to name a few, than to make a racecar version of Acura’s very own 2015 TLX? Yes, it’s an exciting time to be a car fan. Of course, NAIAS is only one of the many international car shows that occur throughout the year, and we’re still only in the first month of 2014. Who knows what the future of car design and technology holds? Have you been following the 2014 Detroit Auto Show? What are your thoughts about the concept and prototype vehicles you’ve seen today? Leave your thoughts in the comments below or tell us what you think over on our Facebook page. Did you know the 2013 Acura TL was one of the first vehicles in the industry to earn a TOP SAFETY PICK+ from the Insurance Institute for Highway Safety including a GOOD rating in the Institute’s new small overlap front crash test? The same superior features that made this car a success in the 2013 model year carry over for the 2014 model year. Incidentally, later this month at the North America International Auto Show in Detroit, Acura will reveal a 2015 Acura TLX prototype that will replace the TL (and the TSX). While it’s still out on the market, we want our Tischer fans to know as much about the 2014 Acura TL as possible as it may be one of the best cars to meet your needs. 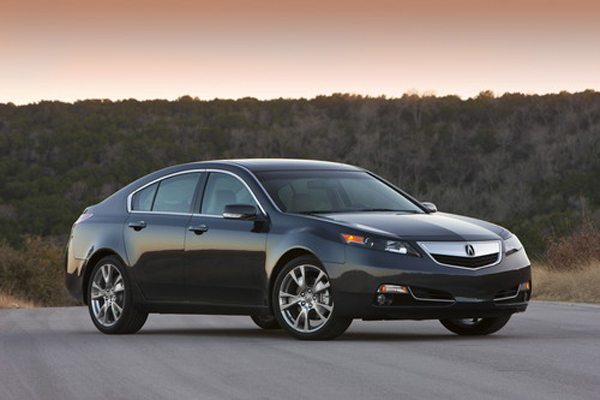 There are two variations to the 2014 Acura TL—the TL and the TL SH-AWD® (Superior Handling All-Wheel Drive). Additionally, there are a variety of packages—Technology Package, Advance Package, and a Special Edition Package. All models feature a Sequential SportShift 6-speed automatic transmission, while the TL SH-AWD® with Technology Package is also available with a close-ratio 6-speed manual transmission as a no-cost option. Additionally, Acura notes “The two-wheel-drive TL Special Edition features distinctive 10-spoke, 18-inch alloy wheels, a color-matched decklid spoiler and Special Edition badging” that complements many of the standard and exemplary Acura features Acura fans have come to appreciate. MSRP for the 2014 Acura TL starts at $36, 030. On the outside, the 2014 Acura TL displays the Acura signature grille and sweeping body lines that make this model both bold and luxurious to behold. Acura is a brand all about luxury and prides itself on including both exterior and interior detailing that lets drivers know they are driving a car that elevates the driving experience. From the exterior premium details such as stainless-steel body trim, a power moonroof, Xenon High Intensity Discharge (HID) headlights and LED taillights as standard equipment to the interior “dual personal” design that provides both the driver and front passenger with their own personal space, there are traces of elegance throughout this vehicle. As you can tell, there are many accommodations Acura has made in order to allow Acura drivers to feel strong, well-equipped, and even a little spoiled when hitting the road in the 2014 TL. We’ve covered the style and luxury components of the TL, but don’t forget we also used the word “performance” earlier. The TL offers a choice of two all-aluminum powertrains. The standard 3.5-liter V-6 produces 280 horsepower and 254 lb-ft of torque and drives the front wheels through a sophisticated Sequential SportShift 6-speed automatic transmission with steering wheel-mounted paddle shifters and Grade Logic Control System. The TL SH-AWD® is powered by a slightly larger 3.7-liter V-6 engine producing 305 horsepower and 273 lb-ft of torque. Acura assures drivers that “The innovative, torque-vectoring SH-AWD® system, in addition to providing outstanding all-weather traction and cornering grip, can send more torque to the outside rear wheel when cornering, to create a “yaw moment” that enhances vehicle dynamics by generating a turn-in effect.” You can rest assured that both city and country drivers behind the wheel of the Acura TL would find this car is able to handle either terrain. If you’re interested in a beautiful car, both on the outside and inside, that delivers superior comfort and modern technology, all while being able to maintain the demands of the road, consider the 2014 Acura TL. There’s a reason we have customers that are devoted and loyal TL drivers, and we think you just might be the next one! Schedule a test drive of the 2014 Acura TL today. Thank you for taking the time to learn about the new TL. If you have more comments, share them below or be sure to connect with us on Facebook or Twitter! Acura debuted the Acura ILX hybrid for the 2013 model year, and many of the great features of the ILX hybrid remain unchanged for the 2014 model year. Still, if you’re not familiar with the ILX, allow us to point out what you’ll find in the 2014 hybrid version. We think you’ll be pretty happy to discover how Acura has complemented its hybrid technology with renowned Acura luxury. Even though the 2014 Acura RLX hybrid will be launching in Spring 2014, the ILX hybrid was actually the first hybrid model in the Acura line-up. According to Acura, “the ILX Hybrid makes use of a 1.5-liter inline engine and an Integrated Motor Assist® electric motor. Paired with a Continuously Variable Transmission (CVT), the ILX 1.5L Hybrid has an EPA estimated city/highway/combined fuel economy rating of 39/38/38 mpg. The hybrid drivetrain uses the gasoline engine as the primary power source, while an electric motor provides additional power when needed. A lithium-ion battery pack is used to capture and store electricity for the 20 horsepower electric motor. Together, the gasoline engine and electric motor produce 111 horsepower at 5,500 rpm and 127 lb-ft of torque between 1,000-3,000 rpm.” MSRP for the 2014 Acura ILX starts at $28,900. There are two trims for buyers—Standard and the Technology Package. If you look on the Acura website you’ll see that the ILX achieved a 2013 Top Safety Pick designation by the IIHS by earning its top rating (“Good”) in frontal and side impact crash tests, as well as rollover and rear impact evaluations. Also, Acura currently holds the Automotive Lease Guide (ALG) Residual Value Award for Overall Luxury Brand. That’s a pretty great start! The ILX hybrid specifically makes the U.S. News & World Report’s “Upscale Small Cars” and “Hybrid Luxury” lists. If you’ve never owned a luxury vehicle, the ILX sedan will definitely ease you into the transition of the luxury car market! In addition, Acura offers satisfaction to those living an eco-conscious lifestyle with the ILX Hybrid. However, we want YOU to be the judge of that! If you’re interested in a test drive of the 2014 Acura ILX hybrid, be sure to give our Acura department a call – 866.906.1974. For any further questions or interests you may have about the ILX hybrid, be sure to use the comments area below. Thanks for reading and happy driving! 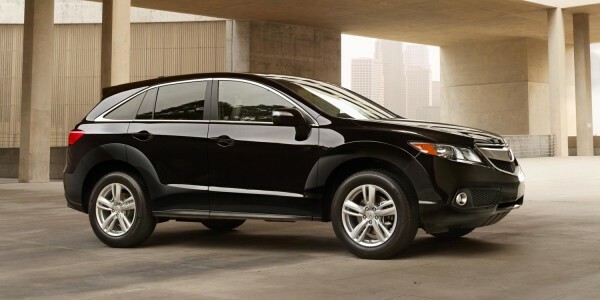 If you’re unfamiliar with the Acura line, then we should let you know it’s Honda’s luxury line. One look at the sleek, aerodynamic exterior lines and quality interior cabins of any Acura model, and you’ll understand why car buyers are willing to pay for these premium models. However, the Acura ILX is a little bit different. It’s an entry-level luxury car, built on the same foundation focused on quality and equipped with the same features as other Acura models, but with a non-premium price tag. It’s a sophisticated, intelligent, compact sedan perfect for the driver who wants to make a statement with his/her car, but may not need the extra length and width as some other Acura models. So whether you’re a young professional ready to take on the world, or someone who’s used to luxury vehicles but is ready to downsize after the kids have fled the nest, the 2014 Acura ILX just might be the perfect car for you. In fact, Acura has reported that the Acura ILX is the only luxury model on the top ten list of Generation Y car shoppers according to J.D. Power and Associates! So let’s take a closer look at this model so that you, the car buyer, can learn a little bit more about what the Acura ILX has to offer. The Acura ILX was brand new for the 2013 model year and many of the standout features have carried over into the 2014 model year. However, there are some new features that are standard—hooray! Acura points out, “The 2014 Acura ILX offers increased value on a luxury scale with eight new standard features to enhance its curb appeal, interior comfort, and overall driving enjoyment.” Those features include upgraded 17-inch alloy wheels, new interior leather seating surfaces and leatherette door liners, an eight-way power driver’s seat, heated front seats, a Multi-Angle Rearview Camera, a new audio-system subwoofer and an Active Noise Cancellation (ANC) system. The available Premium Package includes a premium sound system with AM/FM tuner, in-dash CD player, Radio Data System (RDS), XM® Radio (subscription sold separately) with Note function music reminder, USB port and AUX jack connectivity, Bluetooth® Audio, Pandora® Internet radio interface, SMS text messaging feature, speed-sensitive volume control, 7 speakers with subwoofer and 360-watt amplifier. The Technology Package includes the same features, as well as Acura Navigation System with Voice Recognition™ and rearview camera, AcuraLink Real-Time Traffic™ with Traffic Rerouting™, AcuraLink Real-Time Weather™, and AcuraLink® Satellite Communication System with Automated Appointments. Now that we’ve teased you with some of the available features for this model, let’s take a closer look at the exterior and interior features of the 2014 Acura ILX. 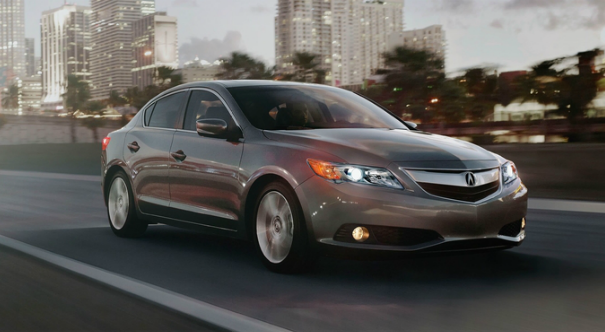 The lines of the 2014 Acura ILX are smooth and well-tailored, creating a sleek sportiness. But slightly wide wheel overhangs give the stance of the ILX some oomph, so that the “sport” of the ILX is less jock, and more like a quiet, cool competitor. Moving to the interior of the ILX, there is no skimping on cabin quality despite this model being part of the entry-level luxury car segment. Elegance combined with comfort abound. Given the price, there’s an amazing amount of technology available standard, too! The ride is quiet, smooth, and the room in the rear seating area is ample for the dimension of the ILX. With decent truck space to start, the rear seats fold down to add more flexibility for any cargo you may have in tow. We’ve already mentioned some of the new features of the 2014 Acura ILX that come standard, but those were just a teaser—there’s more to come! So not only is this luxury sedan a great buy for the money and chock-full of fabulous features, but you have the added reassurance of knowing it has received some of the highest safety accolades in the industry. We’d love to have you come to our dealership and check out the 2014 Acura ILX in our showroom and possibly even take a test drive! You can easily schedule your test drive in advance by clicking on the button below. Thanks for reading our overview of the 2014 Acura ILX. If you have any questions or comments about what you’ve read in this blog post, please feel free to let us know in the comments area below! Although the formal launch will be in the spring of 2014, the Acura RLX Sport Hybrid SH-AWD already has a busy social calendar. At the moment, its been putting on its finishing touches for its public display at the LA International Auto Show. The RLX Sport Hybrid will have given auto show attendees a grand look at the first Acura vehicle to use Acura’s new three-motor hybrid powertrain technology. At 377-horsepower, the 2014 Acura RLX Sport Hybrid SH-AWD is being described by Acura as its “most powerful and technologically advanced vehicle” to-date. The car maker says that the engine system in the RLX Sport Hybrid “combines a highly efficient, direct-injected V-6 engine with an all-new, Acura-designed, 7-speed dual clutch transmission with built-in electric motor and an electrically powered variant of Acura’s highly regarded torque-vectoring Super Handling All-Wheel Drive (SH-AWD)” (quoted from Acura to insure absolute accuracy). This enables the RLX Sport Hybrid to go from 0 to 60 in about the same time as the V8-powered vehicles of competitors. Yet, performance (28/32/30mpg – city/highway/combined) is comparable to that of 4-cylinder luxury sedans. In addition to power, space is also more plentiful in the RLX Sport Hybrid. The wheelbase is longer and the greenhouse is wider than mid-luxury sedans in its class. Rear-seat legroom is now 38.8 inches. Shoulder room has been bumped up to 59.6 inches in the front and 57.0 inches at the rear. Acura says that these stats are the best in the mid-luxury class. Body design has been given good attention. High-strength steel and aluminum are much in evidence. The “double-wishbone, lower double-joint front suspension with Amplitude Reactive Dampers” gives a superior handling agility, with increased confidence and security. This, in addition to the multi-link rear suspension, adds up to a smoother ride over a wide variety of road terrains. Of course, the 2014 RLX Sport Hybrid has new technologies, too. There is an electronic gear selector as well as Acura’s Head-Up Display System – an “at-a-glance” information system which uses the windshield as its projection screen. The cloud-based connected car system is next-generation. There are also the safety features buyers have come to expect, such as “Multi-Angle Rearview Camera, Collision Mitigation Braking System (CMBS), Forward Collision Warning (FCW) and Lane Departure Warning (LDW), along with Lane Keeping Assist System (LKAS), Adaptive Cruise Control with Low-Speed Follow and Blind Spot Information (BSI) system”. Not to be outdone by its automotive relative, the Acura RDX luxury crossover SUV has brought home some automotive honors. The first award is the 2014 ALG Residual Value Award. The RDX earned this honor for having the “highest projected three-year resale value of any vehicle in the Premium Compact Utility Vehicle category”. In addition, this award includes recognition of the superior quality, favored brand desirability, and overall reliability of the RDX. The second accolade is Consumer Guide’s “Best Buy” in the Premium Compact Crossover/SUV category. “Best Buys” are vehicles which, according to Consumer Reports, give outstanding design, engineering, and consumer satisfaction. 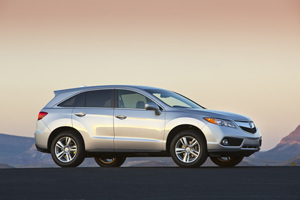 The Acura RDX luxury crossover SUV has been named a “Best Buy” by Consumer Guide. The award is given to vehicles that provide superior design and engineering, and deliver what consumers want better than their category competitors. Consumer Guide judges vehicles based on a variety of objective factors including price, features, performance, accommodations, fuel economy ratings, reliability records and resale value. The editors drive the vehicles the way consumers normally would, on highways, city streets, rural roads, long trips and for simple daily errands. 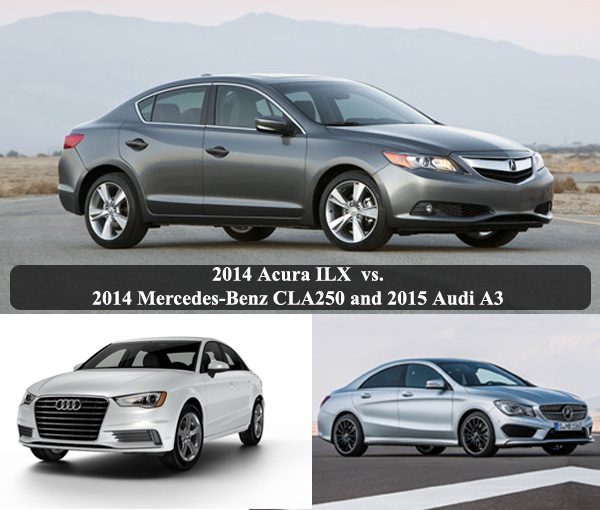 Want to learn more about the 2014 Acura RLX Sport Hybrid SH-AWD or test drive the 2014 Acura RDX? Give us a call today, 301-498-3322!